They reckon they’re the only broker of specialist gear for rental in the world. 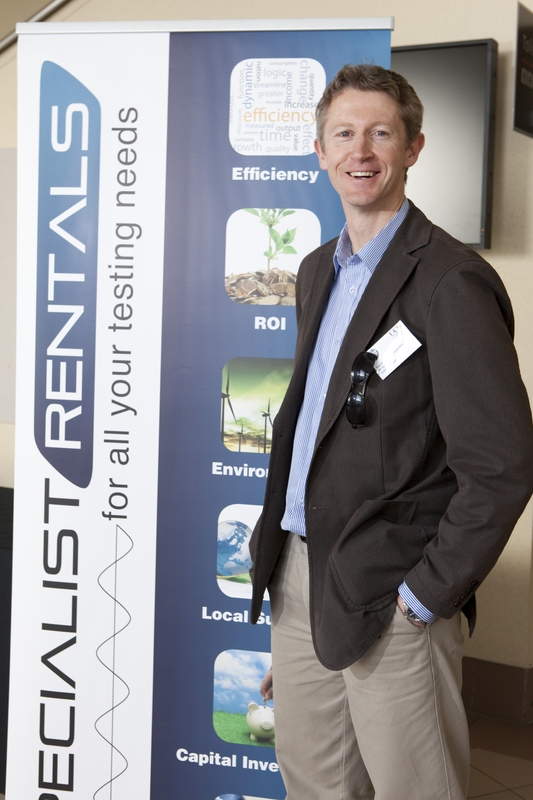 Specialist Rentals – think $25,000 – $100,000 high end test and compliance equipment in the IT/comms area – started last August in Canterbury, and now fully employs one of its founders, Derek Law, and part time other co-founder, Paul Reid. With both having an IT and engineering background of almost 50 years combined experience, they’re well aware of a shortfall by NZ companies requiring hi end test and compliance equipment. Access to such kit allows new products and prototypes to get to market more quickly – and ensures they have been life cycle tested, meet standards requirements and operate in a variety of conditions. At the same time, a lot of companies with such specialist kit may only utilise it 20% of the time. In the US for example, it means up to US$28 billion of equipment is idle at any one time. Having come up with what they considered a good idea a couple of years ago, Reid and Law have created collateral around their website, talked to people and developed some key partnerships, particularly with local Canterbury organisations including Tait Communications, the University of Canterbury, Dynamic Controls, Eaton and Allied Telesis to name a few. As well as having their own equipment to lease, there’s some good tactical reasons for universities and CRI’s to be interested in partnering Reid says. It also means that equipment that is lying around unused brings in a bit of revenue, perhaps even to the extent of covering the cost of buying new equipment. Specialist Rentals is taking their story and equipment hiring business further afield, having recently pushed the idea nationally. “We’ve had a good response; we are very excited about recent contacts made in Wellington and see strong partnerships emerging,” Reid says. The company takes 10% of the rental fee as brokerage, with the two parties arranging their own transfer to and from premises. Specialist Rentals is also pledging 10% of its sales back to the community which generated it in the first place. Currently it has 600 would-be users on its subscriber list, and is looking to grow this number, including offshore. The model is internationally scaleable, with Australia the next major target for the two. Reid says their service has a lot of benefits – one of which is that government regulations consider plant rental/lease to be a tax deduction in research and development, whereas capital purchase of the same isn’t.